The Green Arts Portal is a set of straight-forward resources full of ideas for projects to help your organisation take action on climate change to be part of making a better world. 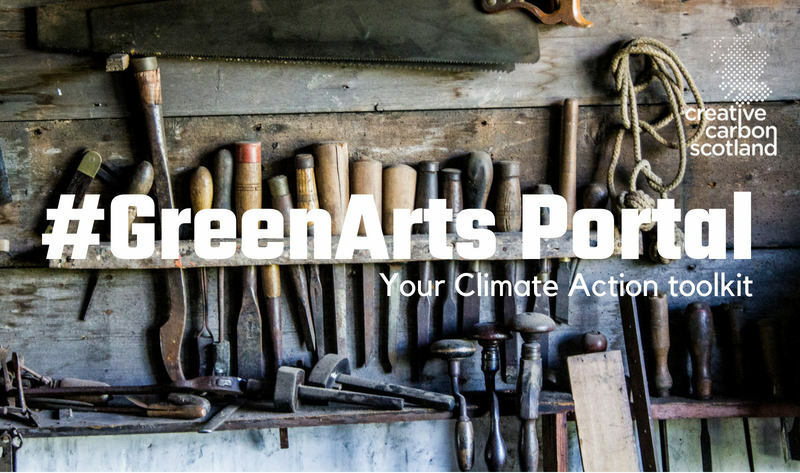 We’ve opened up the Green Arts Portal so that everyone can gain the benefit of these excellent resources. Click below for more information. If you notice any sections where new resources could be added or have ideas for new areas that should be covered, please get in touch. Audience travel and behaviour can form a large opportunity to reduce the carbon emissions associated with arts organisations. Engaging with audiences is an excellent opportunity to lead in sector-wide behaviour change. Although the emissions associated with audiences are mostly indirect for the majority of organisations, you still have a responsibility to help mitigate them and to support behaviour change. Offer your audiences the chance to make more sustainable choices by communicating about your green commitment, through provision of helpful online information, and practical support. Shown from easiest to most difficult.